Morning sun brings a welcoming glow. 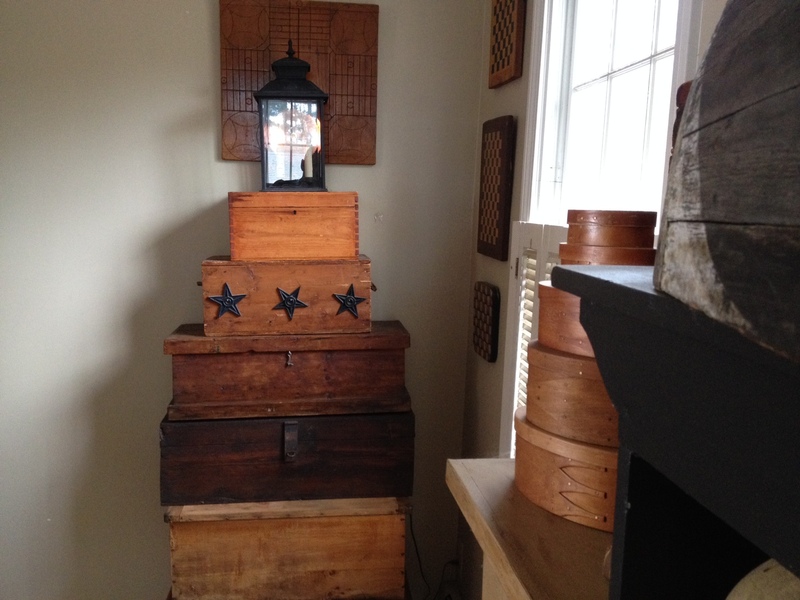 Over the years I have developed an eye for creating appealing displays of old treasures throughout my home. My husband often sees a “car load of junk” transformed as it re-appears somewhere in the cottage. He often describes me as a sculptor of sorts. On the other hand, I cannot capture my creations on film. Yeah, I know, who uses film? You know what I mean. Charles knows how to frame a shot. He seldom bothers grabbing my Nikon. He simply reaches in his jeans and pulls out his old iPhone and frames a photo. If he doesn’t like the light, he’ll come back another time, or even another day. He dislikes flashes, and artificial lighting. Because of that, some rooms in the cottage do not lend themselves to photos, and others are only good in early morning, or late afternoon. This photo is at the top of the stairs in the master suite. The winter morning sun is just the right angle to illuminate this spot and to highlight my stack of wooden boxes. I love how the light captures the subtle differences of the various wood and finishes. And the shadows on the wall create such softness. Love it Suzanne! Great article and photo! I want to visit the cottage! Thanks Dori, I think a visit can be arranged. Congrats! I now have more than one place to shop and get the great finds! Your booths/sections are always so cozy. Might have to hire you for some staging at my new location in Peterborough! Good luck! P.S. I enjoyed reading about “My Geek” too!